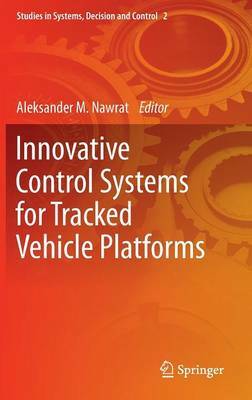 This book has been motivated by an urgent need for designing and implementation of innovative control algorithms and systems for tracked vehicles. Nowadays the unmanned vehicles are becoming more and more common. Therefore there is a need for innovative mechanical constructions capable of adapting to various applications regardless the ground, air or water/underwater environment. There are multiple various activities connected with tracked vehicles. They can be distributed among three main groups: design and control algorithms, sensoric and vision based in-formation, construction and testing mechanical parts of unmanned vehicles. Scientists and researchers involved in mechanics, control algorithms, image processing, computer vision, data fusion, or IC will find this book useful.